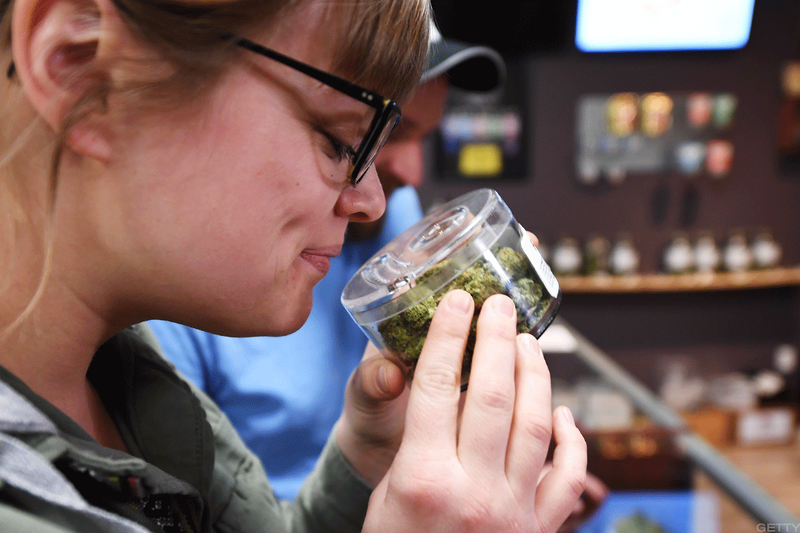 A string of good news for the cannabis sector may prompt institutional investors to get into the game, but watch valuations increase. The cannabis industry could be on the precipice of real boom. Not the slow trickle of PIPEs and venture funding rounds investors have seen since 2014 but a full-fledge boom. Over the last two weeks, the cannabis industry has seen events which could bring a wave of institutional investment into the sector, as well as other changes. President Trump cut a deal with Colorado Senator Corey Gardner, R-Colo. to allow states to decide what to do about cannabis. Senator Mitch McConnell's R-KY introduced his own legislation to make hemp farming legal in the U.S. And former Speaker of the House John Boehner became a director with cannabis company Acreage Holdings. Want more? How about the Food and Drug Administration setting up for an approval of the first cannabis-based drug from GW Pharmaceuticals Plc (GWPH ? And the Veteran's Administration now wants to study the effectiveness of cannabis for chronic pain and PTSD. Then there is the highest profile development, New York Democratic Senator Chuck Schumer introducing legislation to remove cannabis from the DEA's list of controlled substances, to decriminalize pot at a federal level and effectively allow states to decide how to regulate the use of medical or recreational marijuana without concern for federal law. John Downs, director of business development for Arcview Group thinks the recent events are enough to move some risk adverse investors into the sector. "Investors will see this as a sign. This is extremely positive news for the industry." Arcview sponsors an investor network that sponsors events putting cannabis companies in front of investors, it also crunches data on the sector and sponsors a marijuana business incubator among a variety of services and businesses. Downs sounds a note of caution for investors reading too much into Schumer's legislation. "Introducing a bill and passing a bill are two very different things. That said the toothpaste is out of the tube. Regardless of the politics, the left sees cannabis as a social justice issue, the right is about state's rights. Either way, support for cannabis is growing and the next logical step is the elimination of prohibition." Under current federal law, cannabis remains a schedule 1 narcotic as classified by the Drug Enforcement Administration. The status keeps pot on par with heroin and LSD as substances with "no currently accepted medical use and a high potential for abuse,"the DEA schedule reads. Pot's status on the schedule makes institutional investors very uncomfortable. Adding to that discomfort is the rescission of the Cole Memo this past January directing the Department of Justice to enforce all federal marijuana laws. Attorney General Jeff Sessions also gave pause to the industry and investors. "I reject the idea that America will be a better place if marijuana is sold in every corner store." Not everyone in the cannabis sector is worried about the DOJ or Sessions. "It's all been Kabuki theater," said Leslie Bocskor, president of cannabis consulting and investment firm Electrum Partners. "If Sessions really wanted to destroy the cannabis industry he would come after a company in California or Colorado or Nevada and bring a RICO action and the documents that would get swept up would include the private placement memos that of course say that growing or possessing cannabis is against the law and the investor is agreeing to invest in a company that is doing just that, financing a drug operation." The Las Vegas-based Bocskor pauses to catch his breath. "Sessions has no intention of harming the industry. And the agreement that Senator Gardner is talking about is great news for our industry. And there is more, the FDA with GW Pharmaceuticals, McConnell on hemp. I'm already hearing from investors." Then there is Green Bits, a cannabis retail management company raising $17 million from Tiger Global Management and Casa Verde Capital. Some of Tiger Global's more traditional investments include Netflix NFLX and Domino's Pizza DPZ which could fit with the cannabis lifestyle. Another well-known investor which has jumped into the cannabis space is Peter Thiel's Founder's Fund. The fund invested in one of Seattle-based Privateer Holdings PE funds. Privateer only invests in cannabis companies. Yoni Meyer, a partner at Los Angeles-based Casa Verde Capital said he expects valuations to climb as more capital comes into the sector. "Given our unique position in the market, we have a solid understanding of realistic valuations, so we're staying focused on fundamentals," he said. As a rule Casa Verde invests in ancillary businesses and not businesses that are touching the plant. Among the partners in the firm is Calvin Broadus, better known as Snoop Dogg. But Meyer thought the recent events including those tied to Trump and Boehner were harbingers of more positive sentiments flowing into the cannabis space. "I think Tiger Global's investment into Green Bits is a signal that more mainstream investors are on the way." The investment by Tiger Global, a hedge fund / private equity vehicle started by Chase Coleman III in 2000, also serves notice to institutional investors who have avoided the cannabis industry. With Tiger Global following Casa Verde into the Green Bits transaction, other funds may have to explain to their limited partners why they remain on the sidelines. Morgan Paxhia, a managing partner at the San Francisco-based cannabis hedge fund Poseidon Asset Management, says that his firm has been talking about legalization not only being a key to unlocking the door to investors, but also as potent political weapon in the mid-term elections November. "We have been saying that it's kind of a political ace in the hole. A candidate could keep in the pocket, leave it alone if you don't need it, or pull it out if it makes a difference." The Pew Research Center shows that 61% of Americans believe that the use of marijuana should be legalized. That number jumps to 70% if only millennials are surveyed. So opinion regarding the use of pot is clearly moving into the mainstream. Investment in the sector has grown more slowly. "We have been here since 2014, so in some ways we haven't had that much company," Paxhia said. "We have invested in more than 40 companies; we have led a lot of financings. It's been a largely open field for us." One of changes that could take place is that Poseidon might not have as many investing opportunities and the valuations accompanying those opportunities may be higher. "It's possible that our utility may have only had a five year run," he said. While investment could ramp up, not everyone is convinved that more investors will pile into the sector. Enter Chet Billingsley, CEO of Mentor Capital Inc., a publically listed cannabis investment firm, generally investing in medical cannabis companies. Billingsley said that while his company has seen a $3 million bump in its capitalization since the parade of positive cannabis news hit, he thinks it will take more than that to bring risk-adverse investors on-board. "It's nice that Booker and Sanders and Schumer have introduced bills that could change things from a legal standpoint," Billingsley said. "But those bills need to pass before things change." Last week, Senators Cory Booker, D-NJ along with Bernie Sanders, I-Vermont, Kirsten Gillibrand D-NY and Ron Wyden D-Ore introduced the Marijuana Justice Act, a bill that would rescind federal marijuana laws leaving states to decide whether to legalize pot.